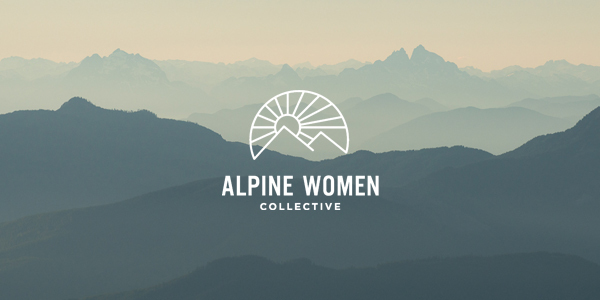 Sarah, Cait and The Alpine Women Collective are going to the North Cascades this summer! Spend 5 days exploring this remote and remarkable wilderness while camping and hiking in Northern Washington. Join Sarah, Cait and AWC for an unforgettable adventure. Flights can be arranged for additional fee. Most of the required equipment [listed below] is available for rent from our affiliate mtnGEAR. AWC hikers will receive an exclusive discount of 20% discount on all rental equipment and clothing. August 4: Arrival into Seattle, WA. Welcome reception at Two Beers Brewing in Seattle. Enjoy a good nights rest at the hotel. August 5: Today, we will begin preparations and enjoy our first hike. During the 3 hour drive to the campground in North Cascades National Park, we will stop for groceries. Arriving by 1pm we will set up camp and embark on a short evening hike. 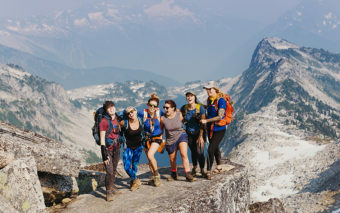 August 6: Hike to Hidden Lake Lookout Trail which is 8 miles RT (out and back). A beautiful start through the forest, the trail soon opens up to sprawling meadows. After several switchbacks, the trail breaks into the alpine, climbing steadily to a pass where we will enjoy our first views of Hidden Lake. A short, steep climb brings us to the spectacular lookout complete with a cabin and million dollar views. August 7: Sightseeing day reserved for exploring the sights and sounds of North Cascades National Park including Diablo Lake. August 8: We will begin the drive back to Seattle and say our goodbyes. Afternoon flights can be booked. SAVE BEFORE June 9. Use Discount Code "awcgoeswest" at checkout to save 10% off.